Customer service is having a moment. Now that more and more interactions between customers and companies are taking place in public—via social media, review sites, and beyond—the stakes are higher. Attention and budgets are growing. But still, even with renewed focus, the overwhelming majority of customer service resources are reactive. “How can we best interact with customers who are seeking help, or who have complained?” This is the mantra. It’s not a bad idea. Certainly, with customer service becoming a spectator sport, handing customer questions and complaints better and faster will have a material impact on your business. I wrote a whole book about it. However, the best way to build your business with customer experience isn’t to get better at reactive service, but instead to pay more attention to PROACTIVE customer service. Isn’t the best complaint the one that never has to be delivered? Team members in almost every business already know what customers are likely to complain about. This is because, despite a few outliers, most complaints clump over time into a few, specific types that reoccur over and over again. If I asked you to stop reading right now and write down the five complaints you hear most often from customers, almost all of you could accomplish the task within 90 seconds. It. Is. Obvious. Yet, even though we know what customers struggle with, we don’t put much time or effort into getting out in front of it. It’s misplaced, and you can fix it—typically, with information. Today, I’m in Palms Springs, California delivering two talks on customer service to franchisees of Anytime Fitness. 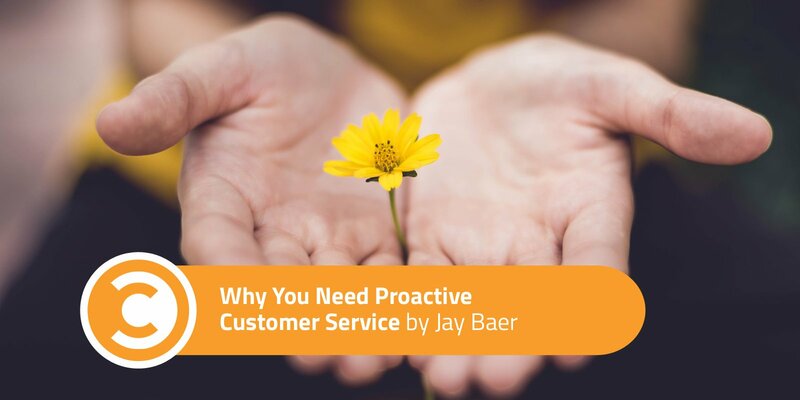 Proactive customer service is critical for the continued success or the company. Nearly every franchisee has the same customer satisfaction issues. They must communicate better with members to alleviate any understanding gaps, thereby solving problems before the customer needs to complain. Ironically, as I was getting dressed for my presentation, I found a terrific example of proactive customer service in action, right in my hotel room. One, simple sign turned my faucet water from a shortcoming to an elixir. I’m not sure how long the signs have been in place. I’m going to try to meet with the manager and find out, and I’ll update the post if I get an answer. But I can only imagine how many calls to the front desk were being placed before the signs appeared. This is a big hotel. 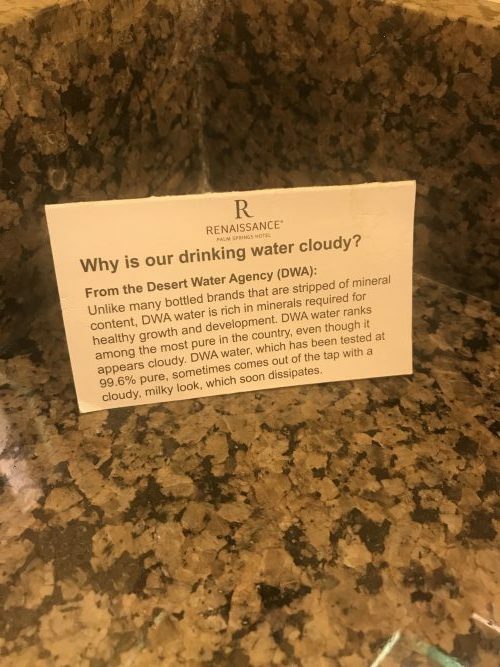 If only 20 percent of guests inquired about the water, you’d have dozens of calls every day with which to contend. Now, because of proactive customer service, they have just a few, if any. Very smart. 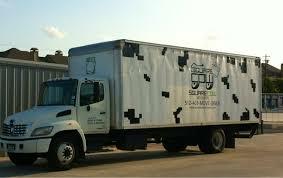 Wade Lombard owns a moving company in Texas called Square Cow Movers. It’s a good business—better than most moving companies. However, Wade found that his customers were leaving a lot of negative feedback. They were either complaining to him and his team members, or they were writing one and two-star reviews on Yelp. This was confusing to Wade, because he knew he was running a solid operation with a strong commitment to customer experience. He dug deeper. He printed out the reviews. He printed out the emails. He transcribed complaint phone calls. He combined all the data, and realized that practically zero complaints were about moving. They were about related issues like show up times, parking, packing, and so forth. This was a puzzle to Wade because he had thought Square Cow was pretty great at proactive customer service. When customers pay a deposit and hold a date, they are sent a welcome kit with an explanation of the process. And then, Wade’s team sends a reminder email seven days in advance of the move, with more helpful tips. Finally, the night before, a voicemail arrives to confirm the details. But despite all of this, customers were complaining that they just DIDN’T KNOW what to expect. The company thought customers were adequately informed, but the customers thought they were under-informed—so much so that it created complaints. And then Wade realized a key fact: By definition, all of his customers are in the process of moving. When you move, you become a crazy person. It’s stressful. You’re not at your best. Wade recognized that even though the company was sending information, it wasn’t sinking in for customers. So, they doubled everything. Two welcome kits. Two “here’s what to expect” emails. Two reminders in the last days. And guess what happened? All the complaints faded away. There’s no such thing as too much information. It’s true if you run a moving company. Or own a fitness gym. Or just have cloudy water. If you want to put more time and money into your customer service, I’m with you 110 percent. But don’t neglect proactive customer service. The results can transform your business.